My ideal xmega development board as it’s completely application agnostic. 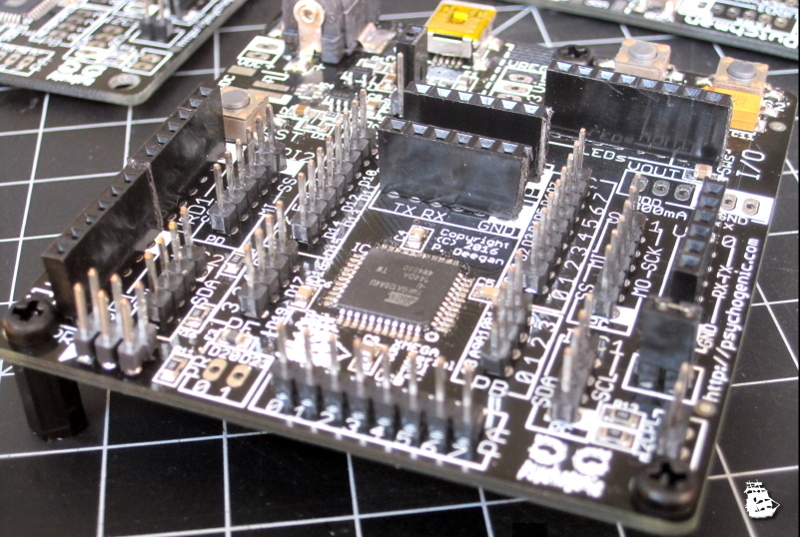 It offers access to every pin and has easy to use FTDI access to 5 UARTs, plus 2 SPI and 2 I2C ports. There a no less than 5 ways to power the board, and it can convert anything between 3.6 – 15VDC to either 3.3V or 1.8V to suit the application, and it has some useful UI elements (LEDs and switches) that can be tied into any pin. I love this board and get lots done with it!